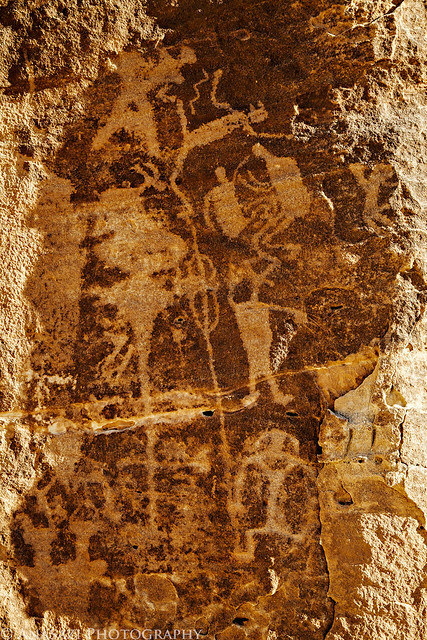 One of the new sites I visited this trip was the petroglyph panel near Mussentuchit Flats. When I first arrived, most of the panel was in direct sunlight, except for this narrow section, which happened to be one of the more interesting parts. As soon as the sunlight struck this section, it was almost impossible to see these figures. 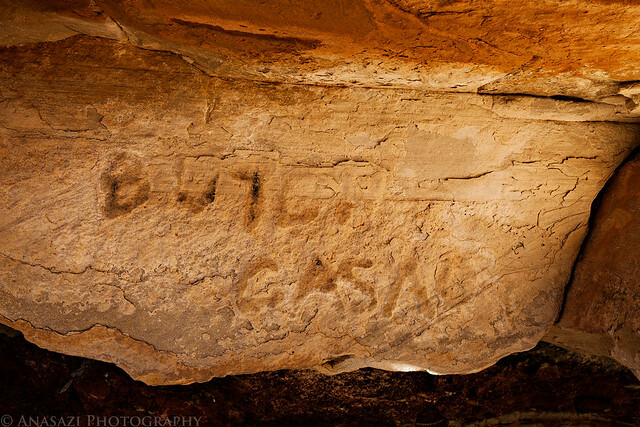 The fading Butch ‘Casady’ inscription under a shallow overhang. 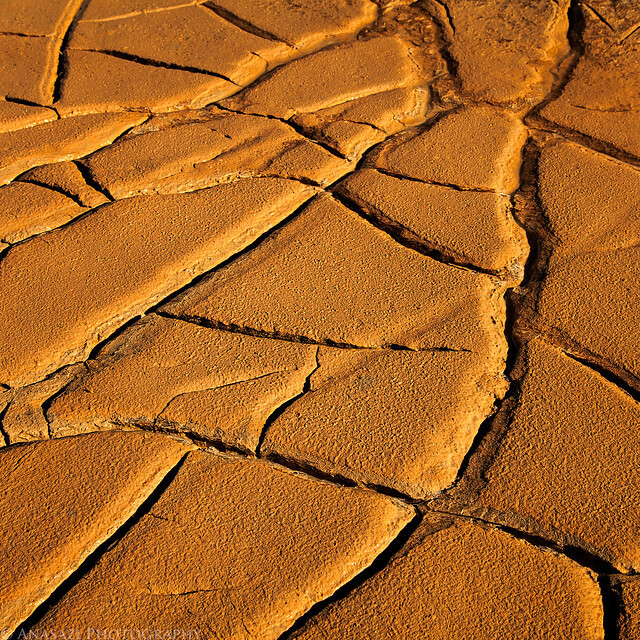 Cracked mud in the early morning light. I’ve searched for this Barrier Canyon Style figure before without success, so I was happy to come across it this time. 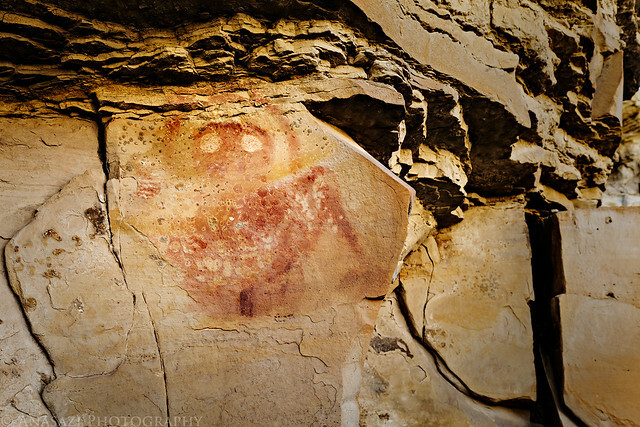 This entry was posted on Wednesday, December 26th, 2012 at 7:19 amand is filed under . You can follow any responses to this entry through the RSS 2.0 feed. Both comments and pings are currently closed.